The Twyleth Teg (they’re easily googled these days, which is amusingly ironic) are often spoken of in Northern Wales. Look them up, someday…. In the meantime, simply read Alice Thoms Ellis’s very fine novel (one of my very favorites over the years) “Fairy Tale”. It’s surprisingly funny, if in a markedly grim way……. 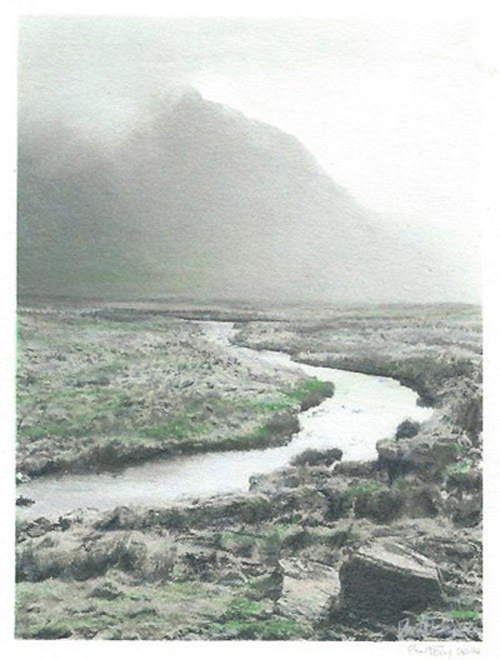 For those of you who are sticklers-for-detail?….. the landscape is that of Galt yr Ogof, above Afon Llugwt. Doesn’t THAT make things simpler?…..